With my recent move to the Grainfather brewing system, it has made sense to keep the urn I used as the HLT (hot liquor tun) as a means of easily heating water for the strike and sparge water. 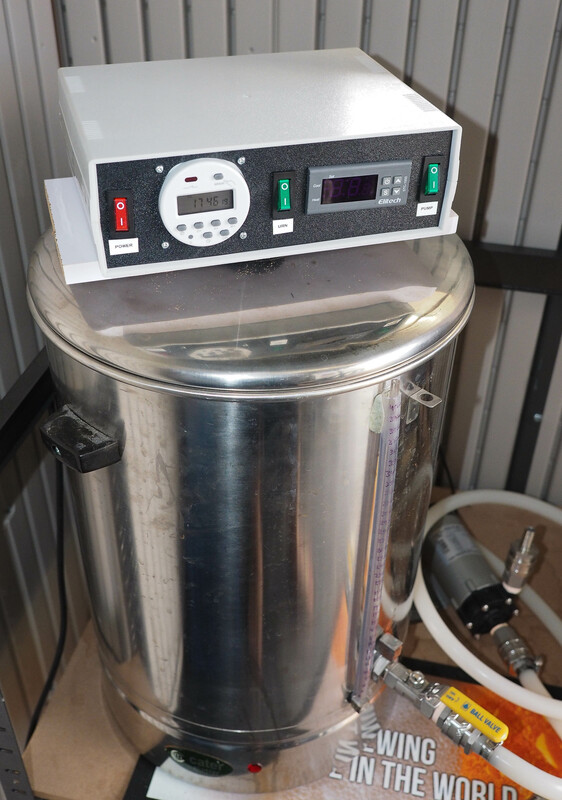 As the urn was previously connected up to the previous HERMS control panel, I decided to use some of the parts from that control panel and a panel mounted timer to create a new control panel which would control the urn and the pump. The existing thermostat on the urn had never been accurate so I had already put a thermowell in the side of the urn connected up to a STC-1000 which accurately controlled the element to heat water to temperatures I desired and so with that in mind I removed part of the wiring from the old control panel and remounted it with the timer to come up with the new panel. 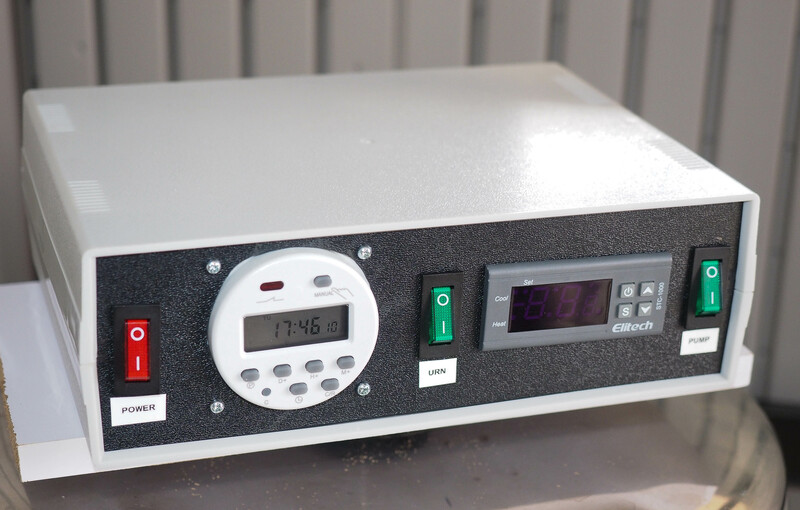 After cutting out the new control panel in a component box I had lying around, I now have a new control panel which includes a programmable timer which will allow me to fill up the urn the night before and set the timer to come on early so when I wake up, there’s water ready to go for the brew day. With the timer wired in, not only does it act as a timer (der!) 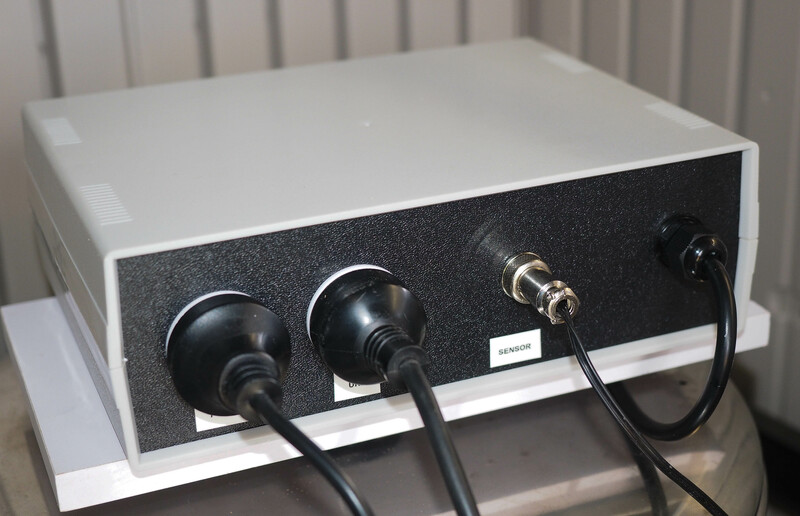 but using the manual function it is effectively the power switch for the STC / urn. 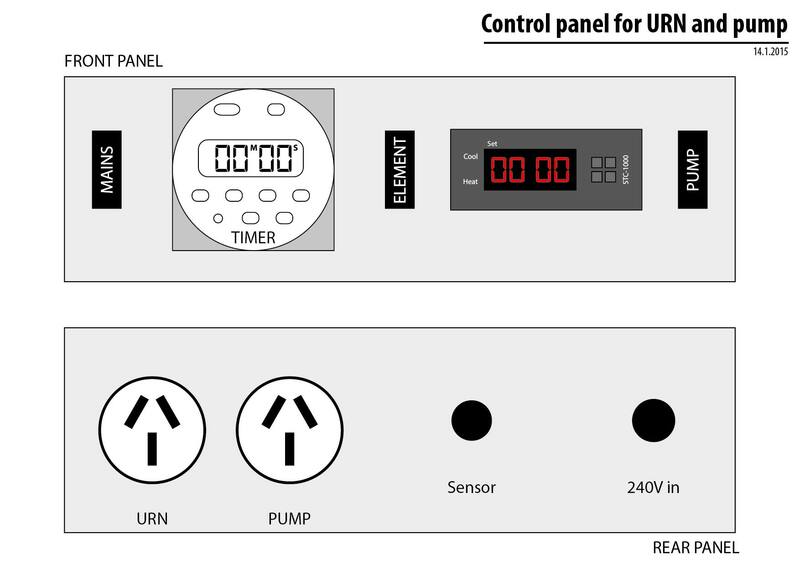 I decided to have a mains power switch to control the power overall to the unit, and also an element (urn) power switch would allow me to turn the urn off but keep the STC powered so I can keep an eye on temperatures etc. Keeping one of the mag pumps to easily pump water between the urn and the Grainfather means I essentially have a two vessel brewing system which is still less complex and a much smaller footprint than I previously brewed with. I’m pretty stoked with the final control panel, apart from a few scratches from the Dremel missing it’s mark it has turned out to be one of the best items I’ve cut out and created myself. Now I just need to mount it to the wall in the brewery and I’ll be set to go.